As the courtroom battles over patent infringement claims continue unabated, Taiwan's HTC has given in to common sense and dropped a planned appeal against Apple's iPhone. Back in February, the U.S. International Trade Commission (ITC) ruled Apple did not infringe on four HTC patents related to the iPhone. After weighing its options, Android smartphone maker HTC fired back in the Court of Appeals for the Federal Circuit - a decision they've now apparently reconsidered, as the appeal has been abandoned. "I think HTC did the right thing," said Florian Mueller of technology website Foss Patents. "I never believed that its first complaint against Apple had merit. 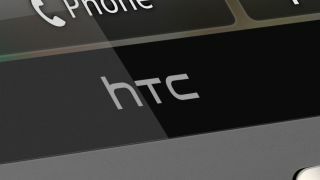 HTC could certainly have afforded to continue with the appeal, but it would only have annoyed the CAFC and the ITC." Despite HTC gaining some goodwill with pundits and the court, the battle with Apple is far from over. The Taiwanese smartphone maker is currently attempting to use patents obtained from Android creator Google as a club with which to beat back Apple's own patent infringement claims. While that move has yet to prove successful, HTC is also planning a purchase of S3 Graphics, another company embroiled in patent disputes with the iPhone maker.